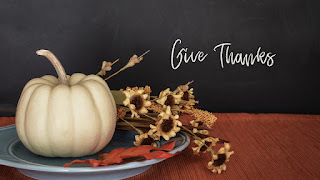 Tomorrow is Thanksgiving Sunday at FFWC. I have to say, everyone is ready for a change of pace. After Hurricane Irma, the Las Vegas and Texas shootings and (fill in the blank with whatever has been occupying your mind here). We are ready for a change of pace. So let's start at the beginning. #1 - Enter this Christmas season by giving thanks for all the things that God has done for you. So many of us want to focus on what makes us bitter. Change your focus and discover what can make you better - then give God thanks for it. #2 - Praise God all during this season. Remember, you are celebrating the birth of Christ, our Lord. Because of His life and sacrifice, you have hope. Jesus isn't in a manger anymore. He is in heaven interceding on your behalf. #3 - Worship Him with all your heart. As you go through this time of year, it is easy to forget why you are doing it. Stop and honor God with your whole life. Let your every action glorify Him with all of your heart, soul, and spirit. Now, pass the gravy. It's time to give thanks for friends, family, and faith.